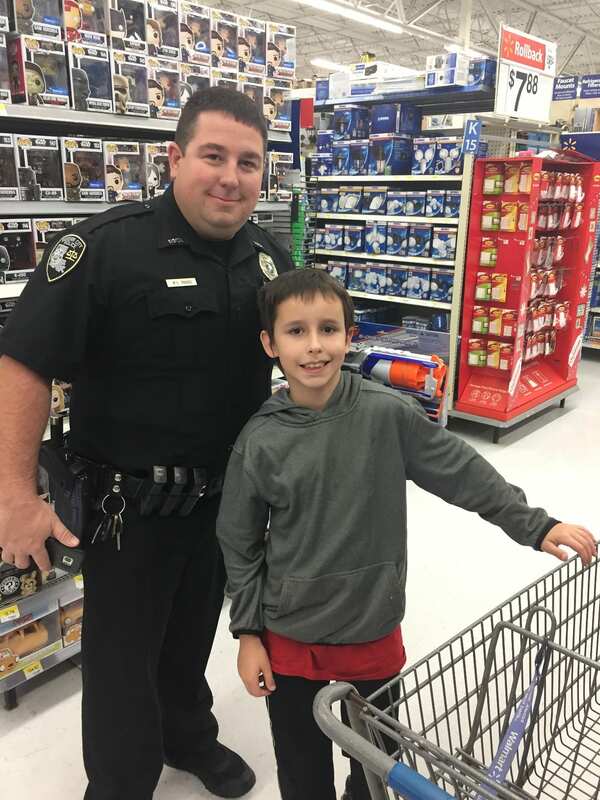 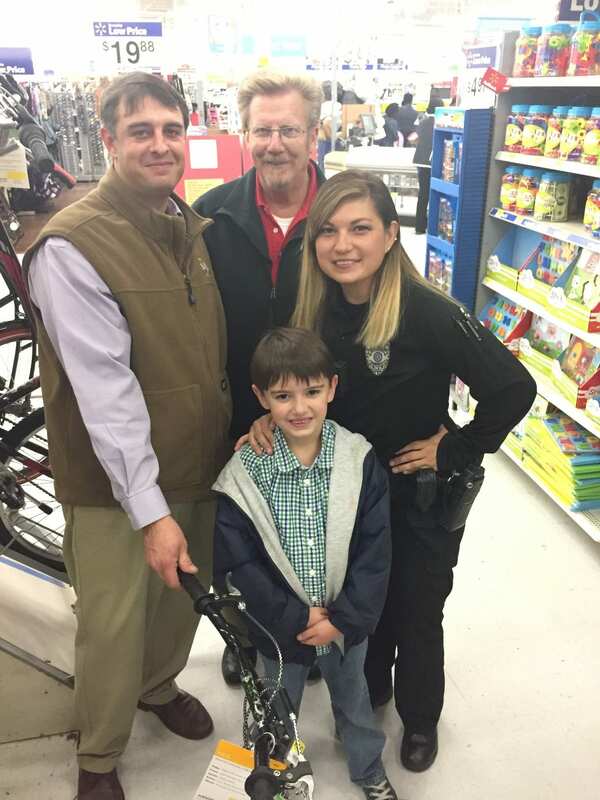 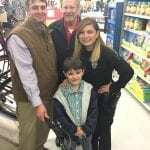 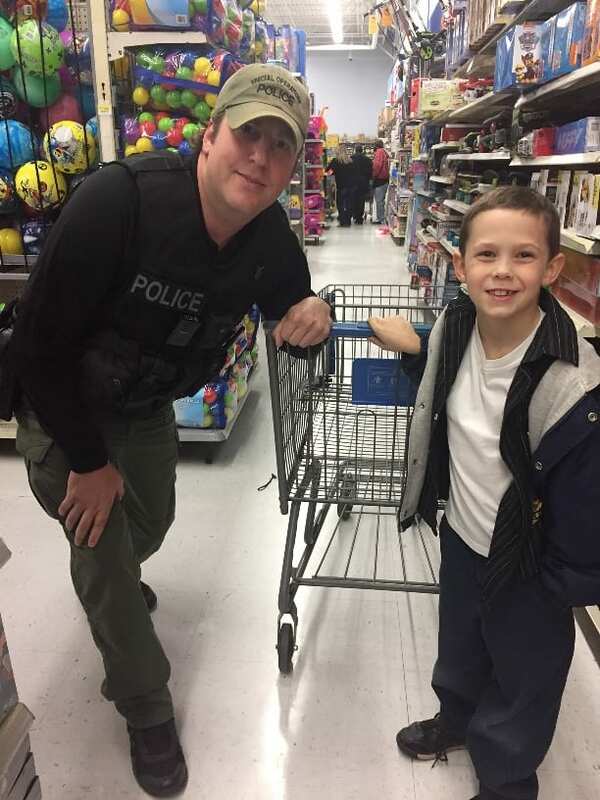 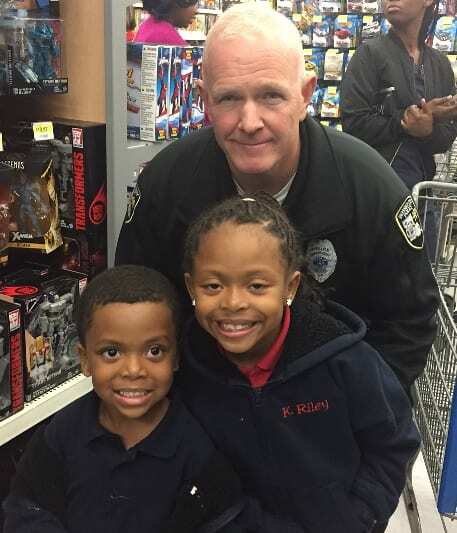 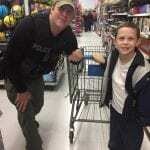 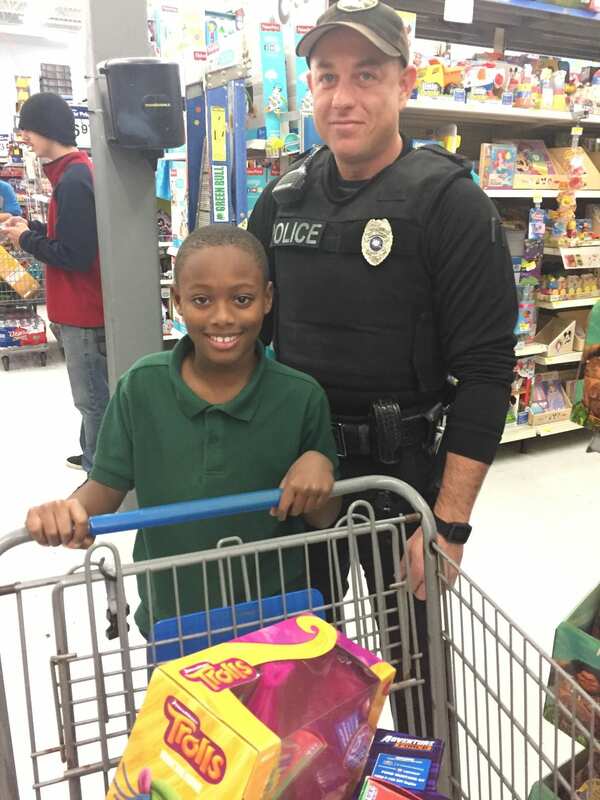 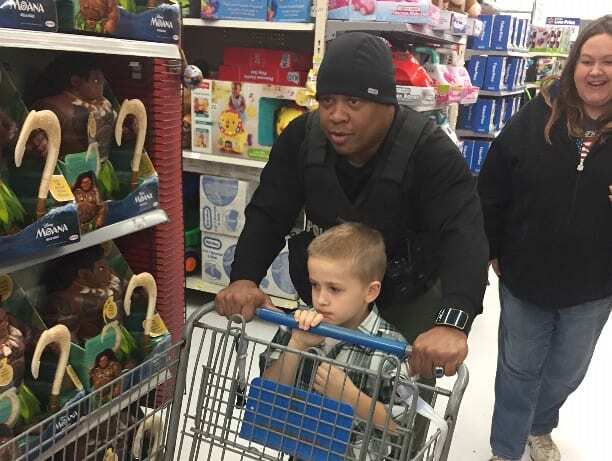 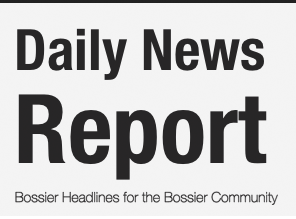 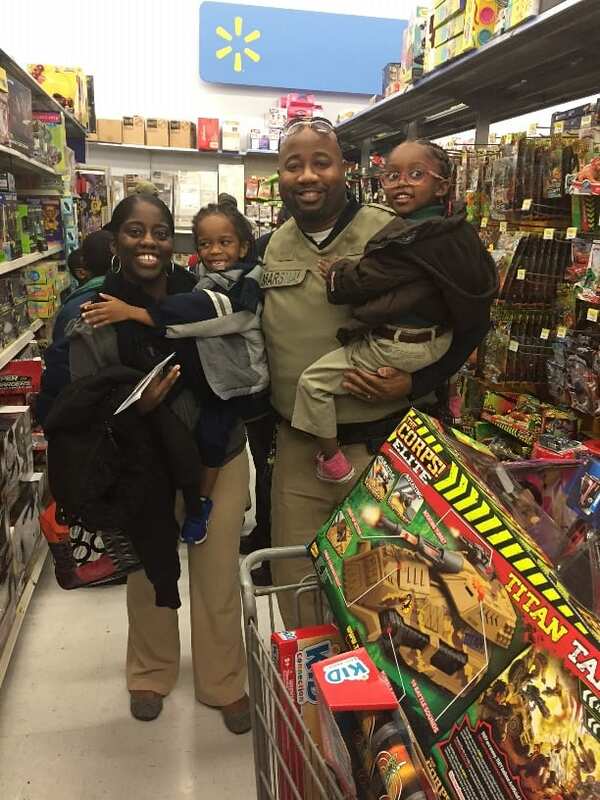 Shop with a Cop in Bossier City was held Thursday night with a recurring theme of smiling faces, on the kids and cops alike. 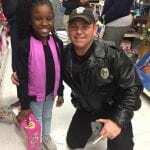 The Bossier City Police Local 645 and the Bossier Chapter of the Fraternal Order of Police Lodge #39 took 70 children in need Christmas shopping in their annual Shop with a Cop event at the Walmart Super Center, 2536 Airline Dr.
Officers, including deputy marshals with the Bossier City Marshal’s Office, accompanied the children as they shopped for Christmas gifts with funds raised locally over the past year by members of Local 645 and the Bossier FOP. 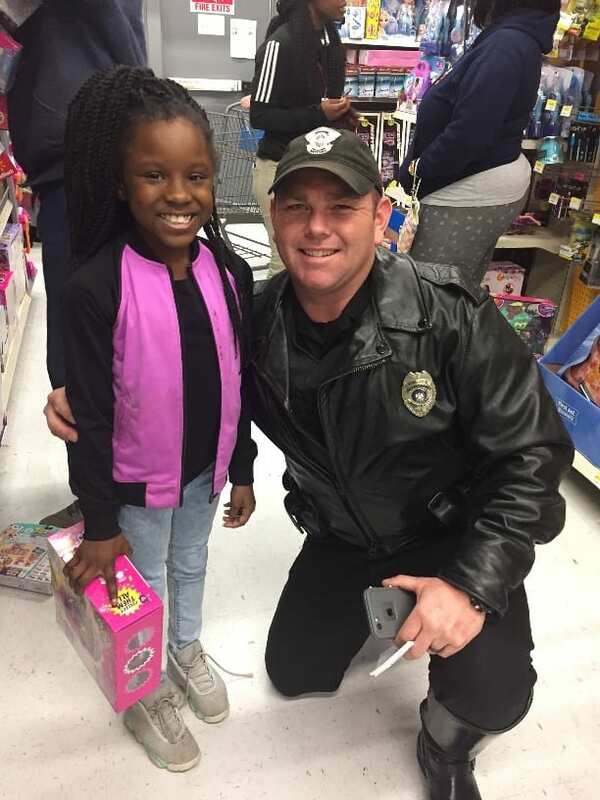 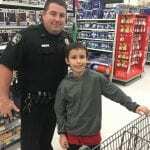 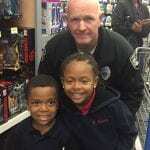 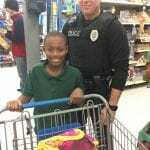 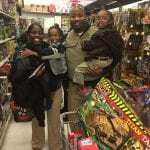 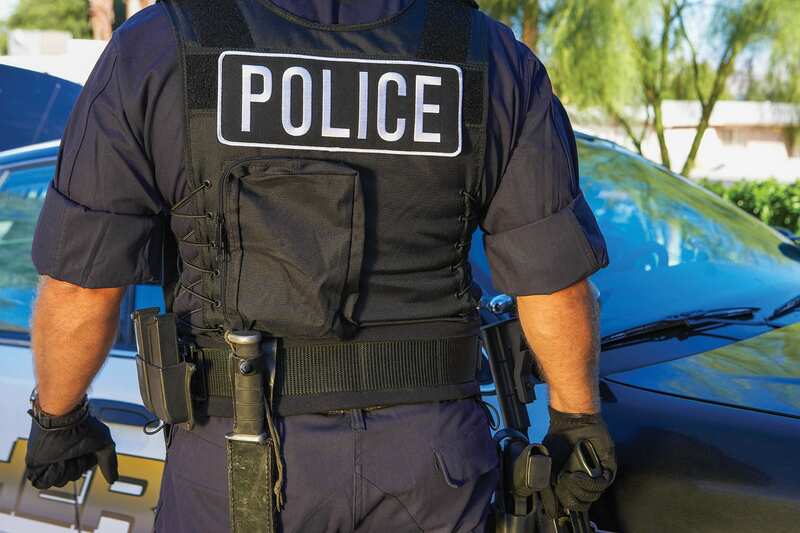 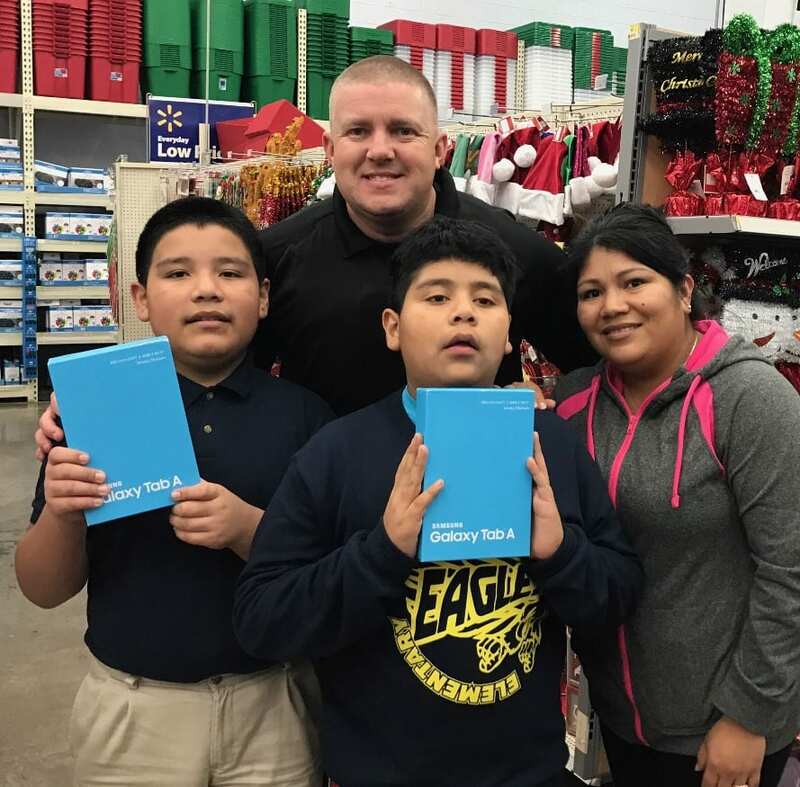 Along with providing a Merry Christmas for children in need, the Shop with a Cop program also helps build strong, positive relationships between the children and police officers.